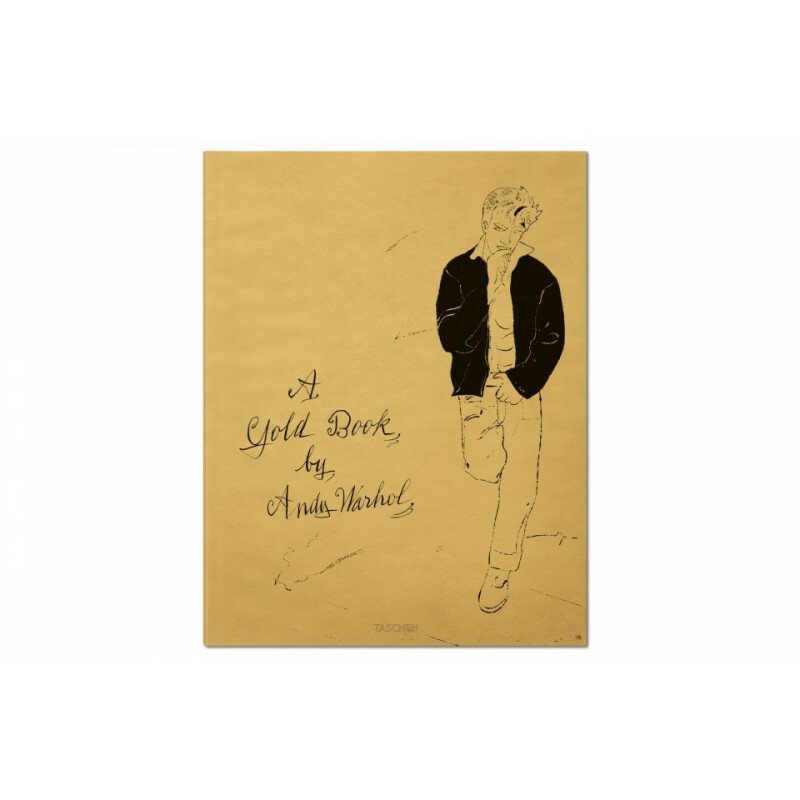 In 1950s New York, before he became one of the most famous names of the 20th century, Andy Warhol was a skilled and successful commercial artist. 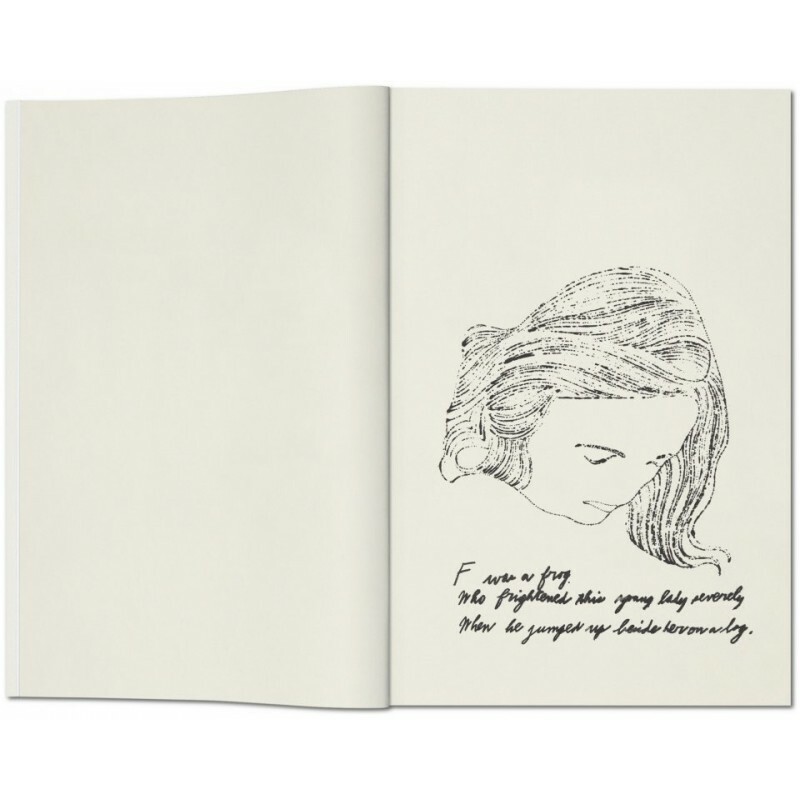 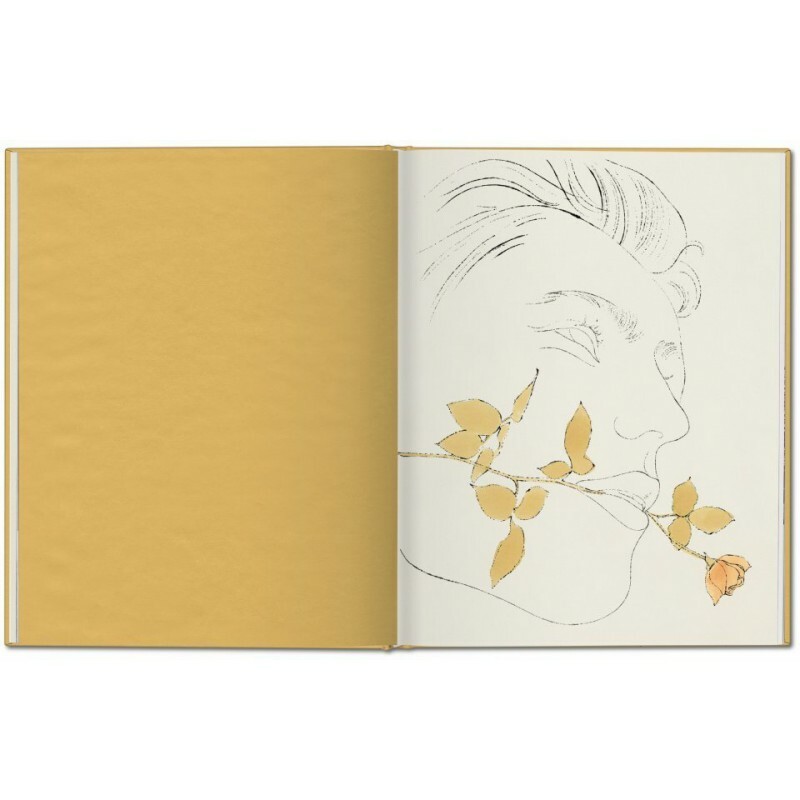 During this time, as part of his strategy to woo and cultivate clients and forge friendships, he created seven handmade promotional books for valued contacts, featuring his own unique drawings and quirky texts and revealing his fondness for—among other subjects—cats, food, myths, shoes, beautiful boys, and gorgeous girls. 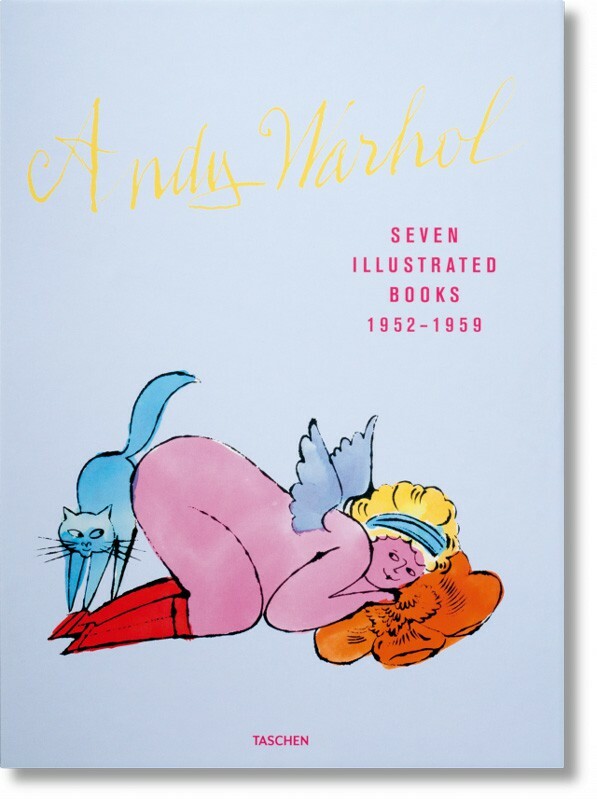 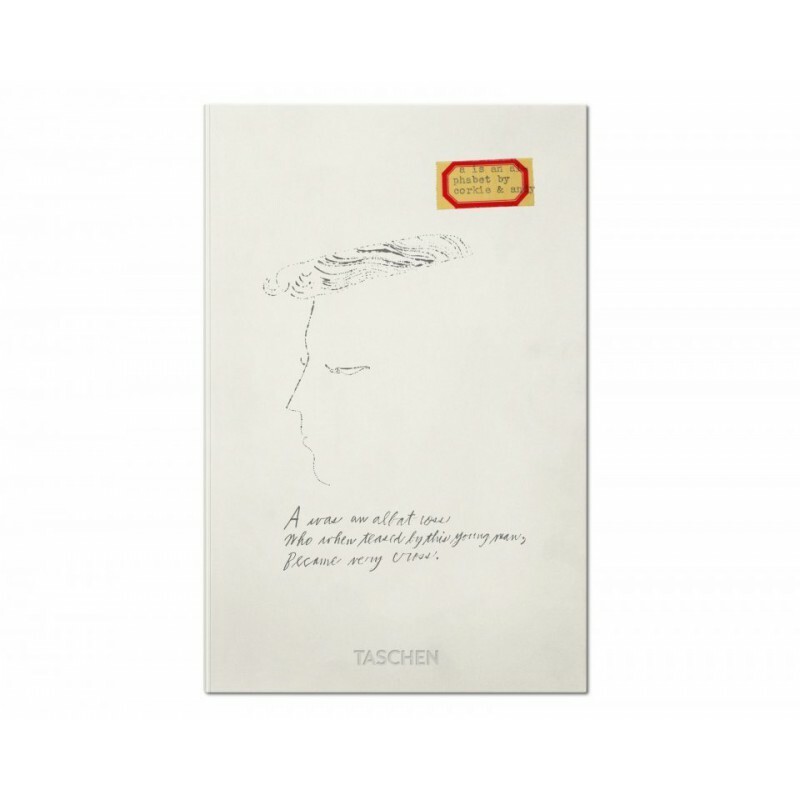 Decades later, with originals now changing hands for thousands of dollars at auction, TASCHEN presents an immaculate portfolio of these seven books, replicating Warhol’s originals as closely as possible down to the format, dimensions, and paper stock. 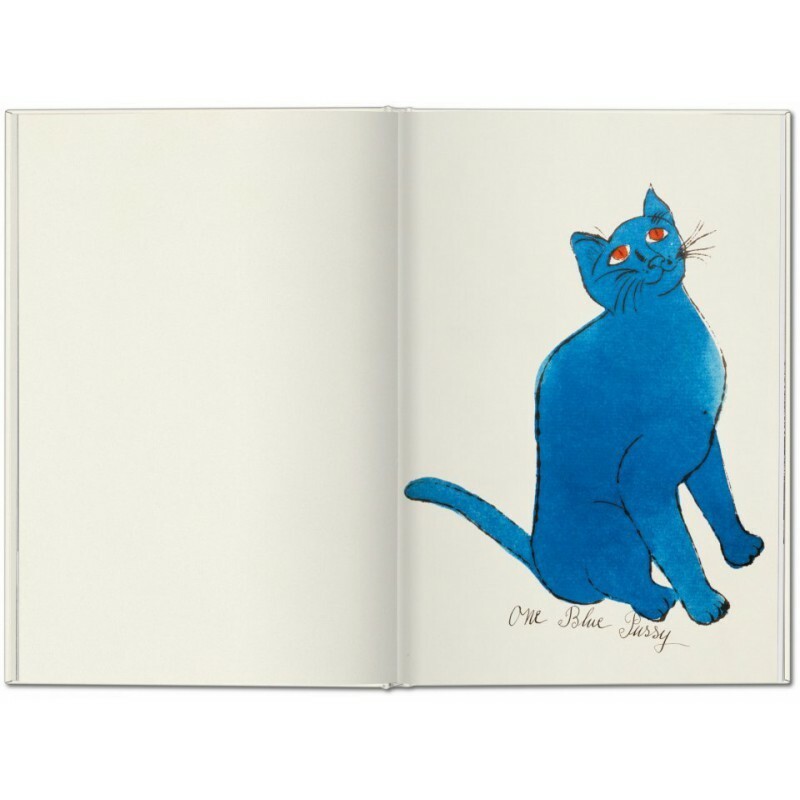 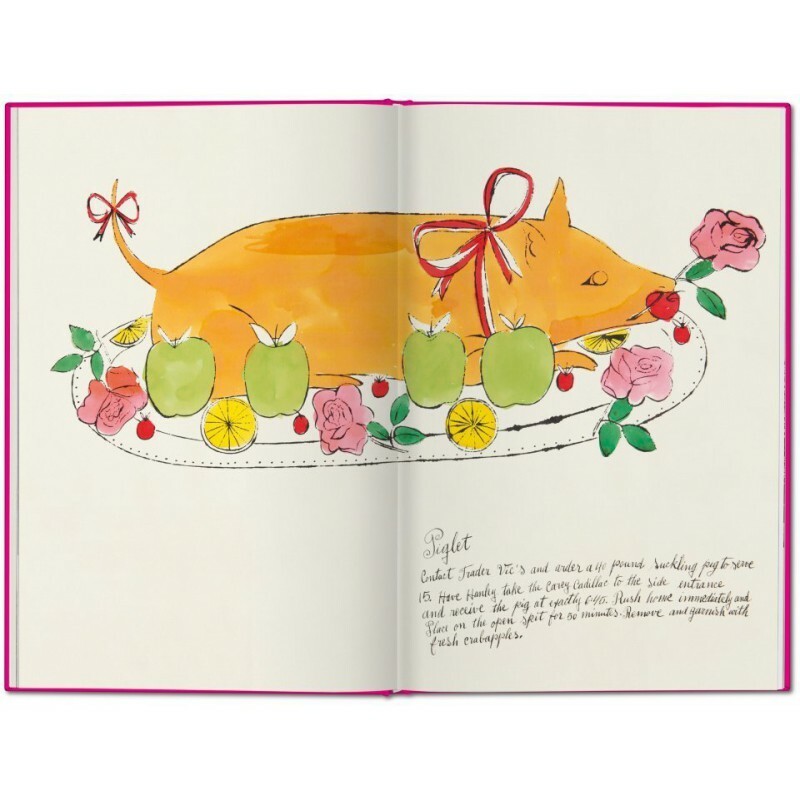 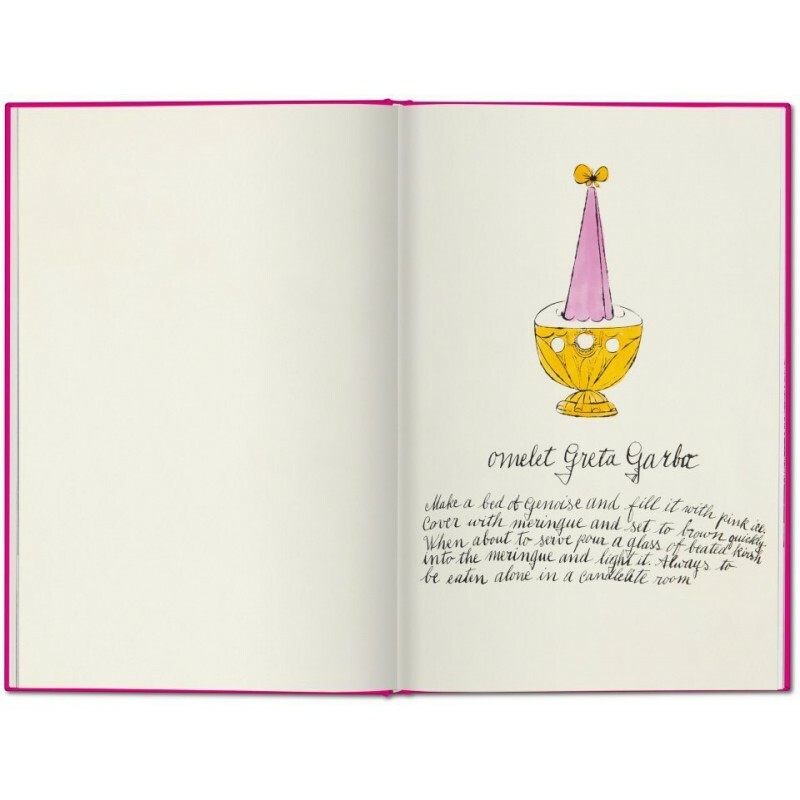 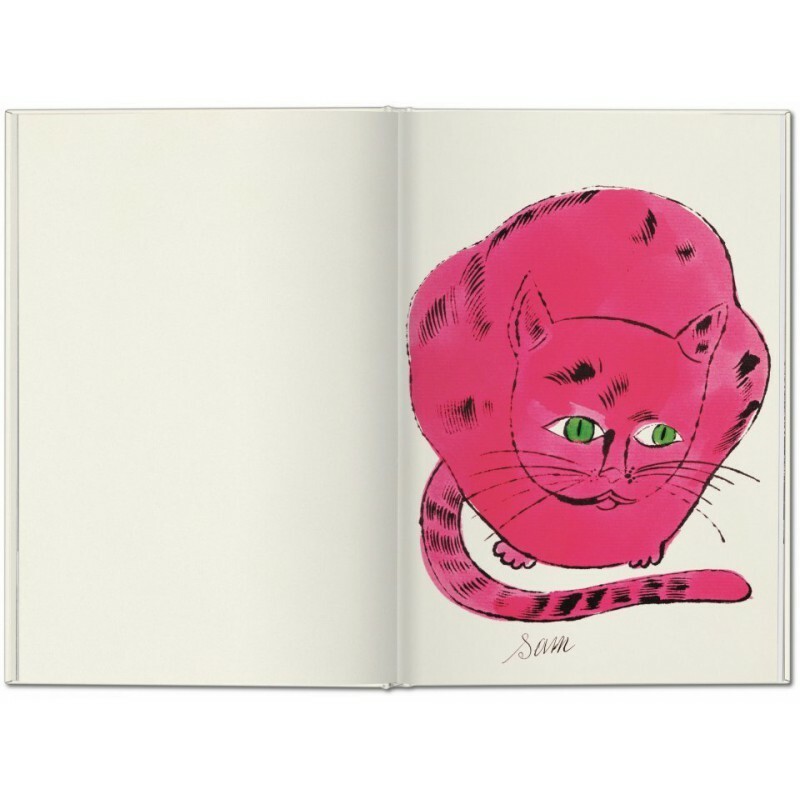 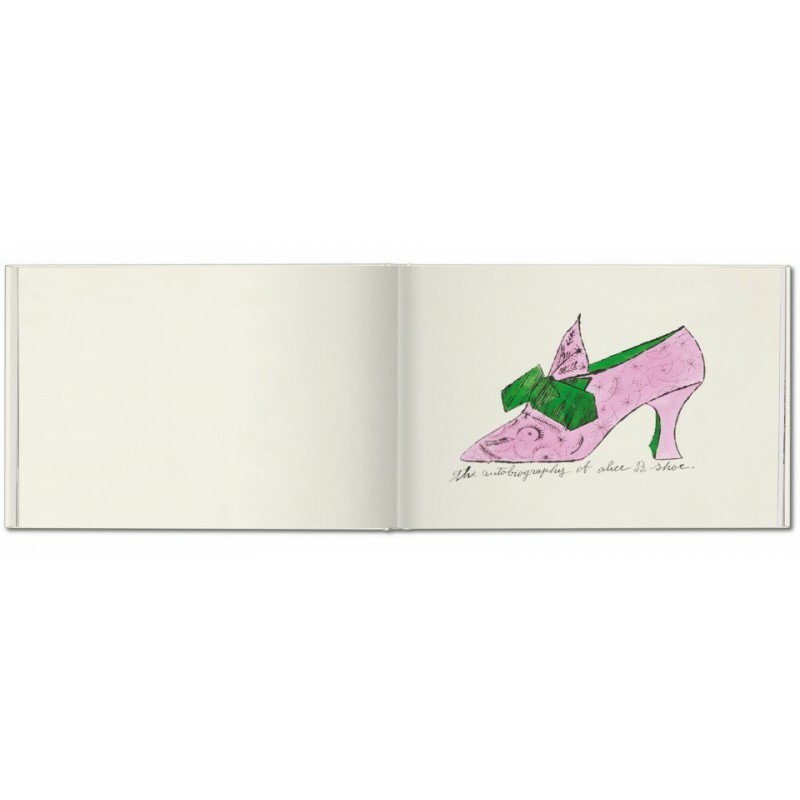 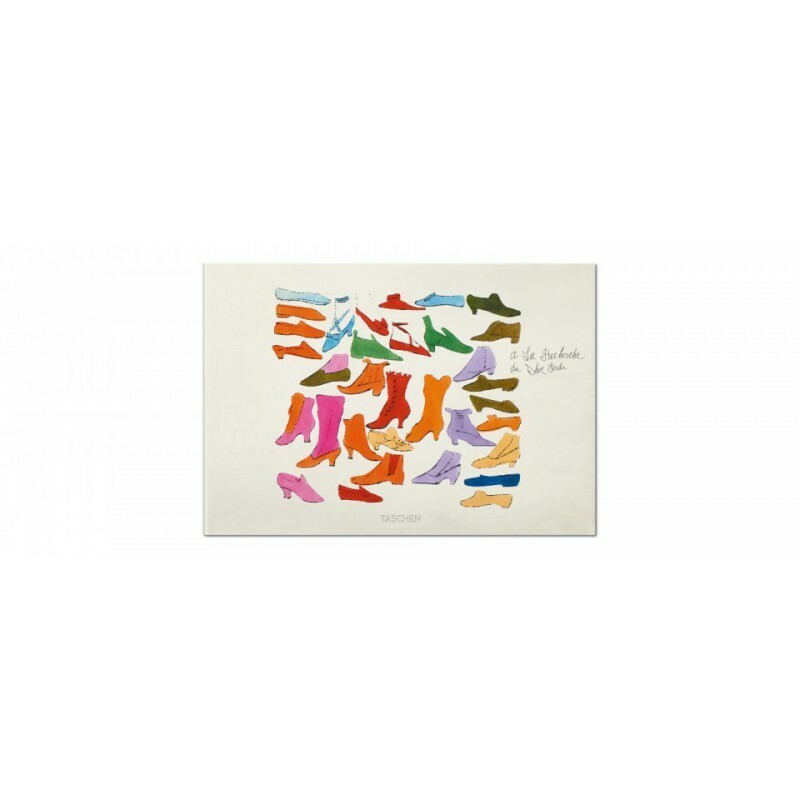 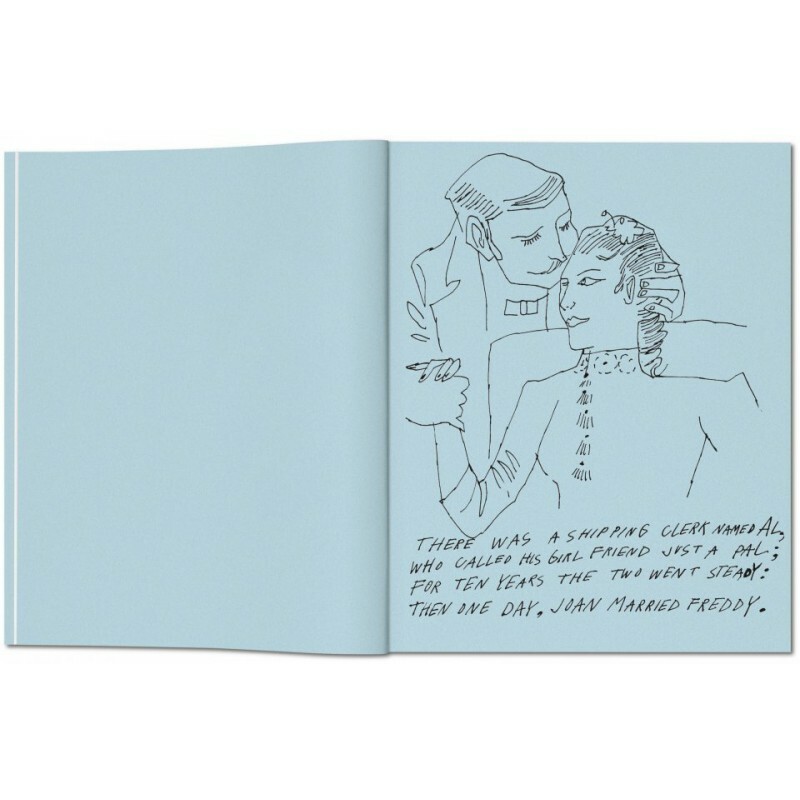 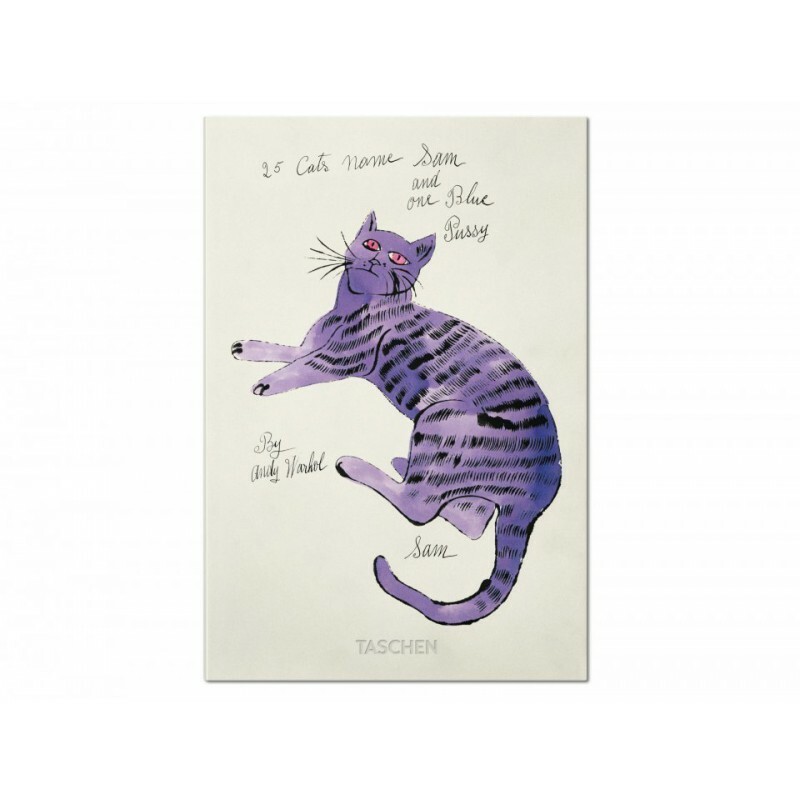 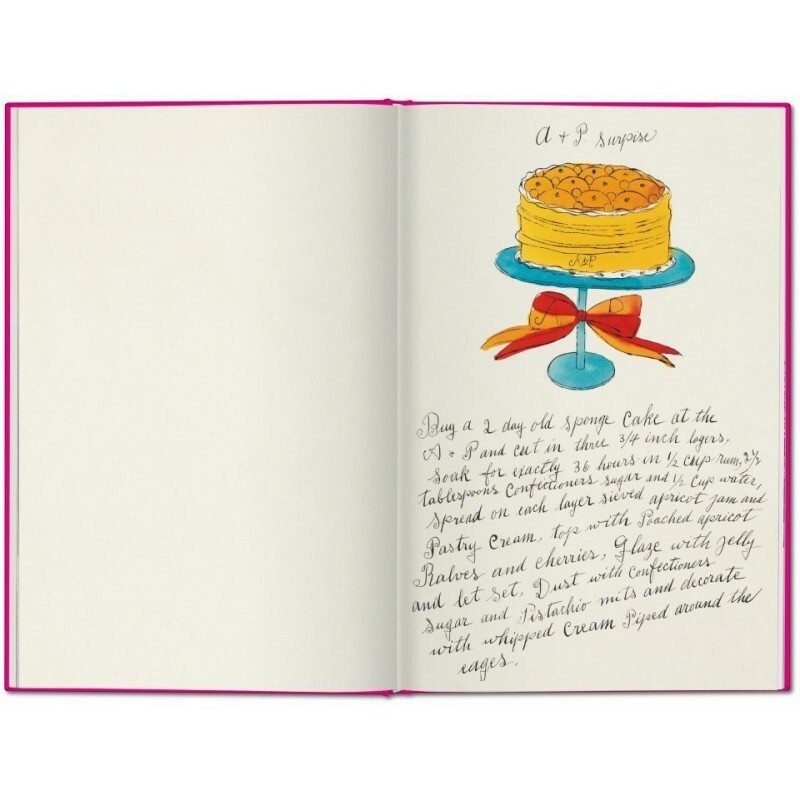 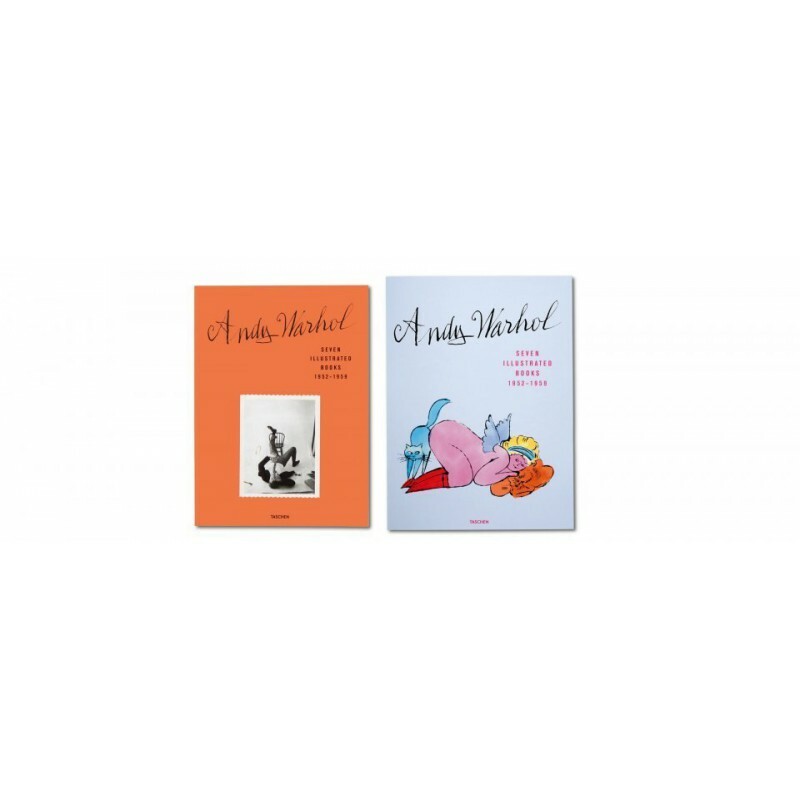 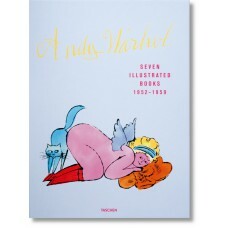 With titles such as Love Is A Pink Cake, 25 Cats Named Sam, and À la Recherche du Shoe Perdu, the series reveals the artist’s quirky character as well as his accomplished draftsmanship, boundless creativity, and innuendo-laced humor. 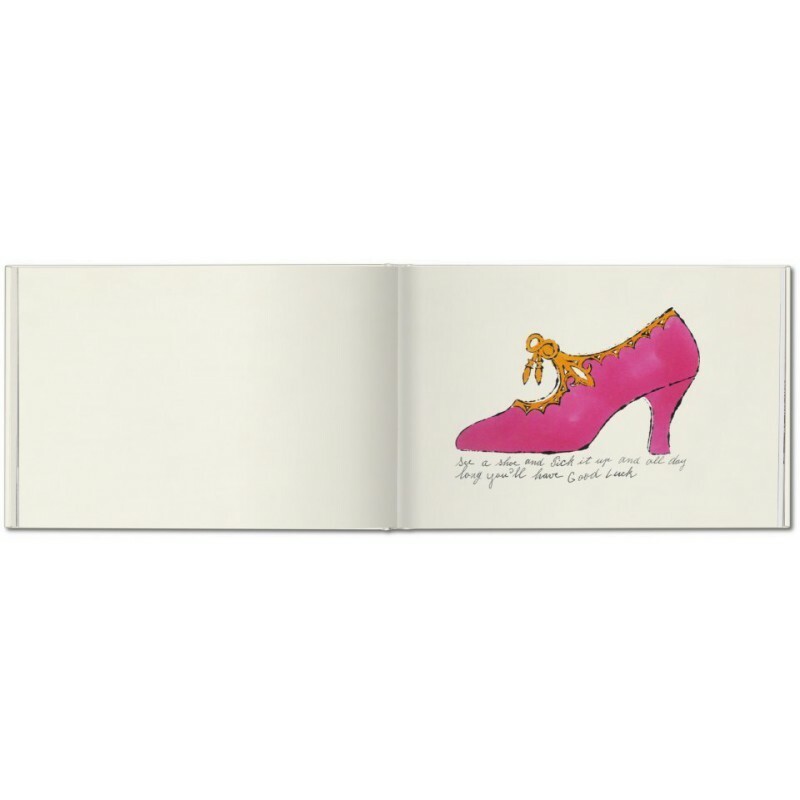 The books make delightful play with styles and genres as much as with design, materials, and formats. 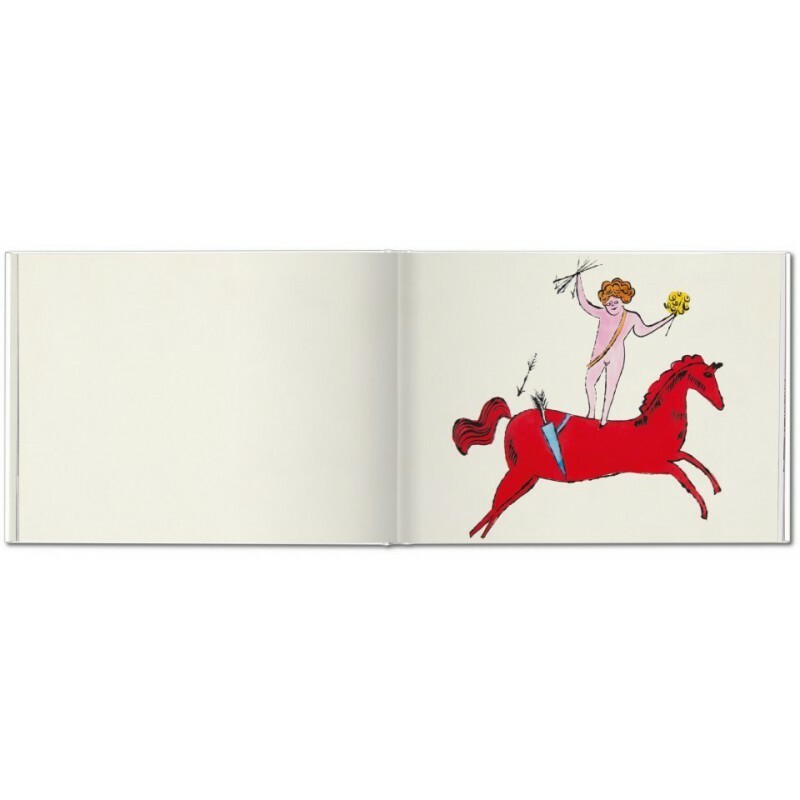 The lithograph portfolio A Is for Alphabet devotes a page to each letter of the alphabet, with illustrations complemented by stumbling three-line verses that tell of strange encounters between man and animal. 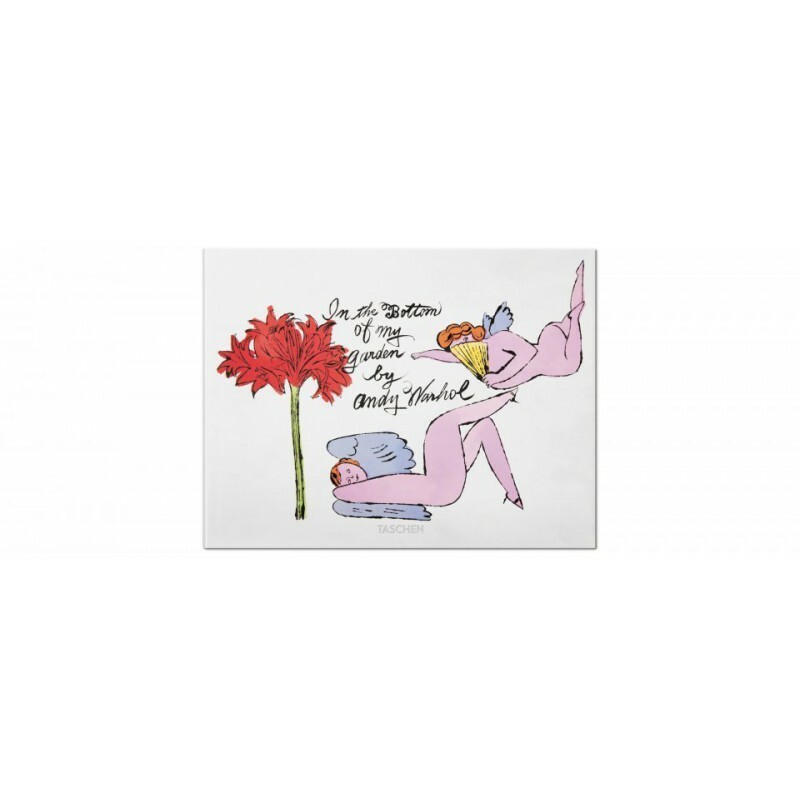 In the Bottom of My Garden is at once a Warhol twist on a children’s book and a covert celebration of gay love. 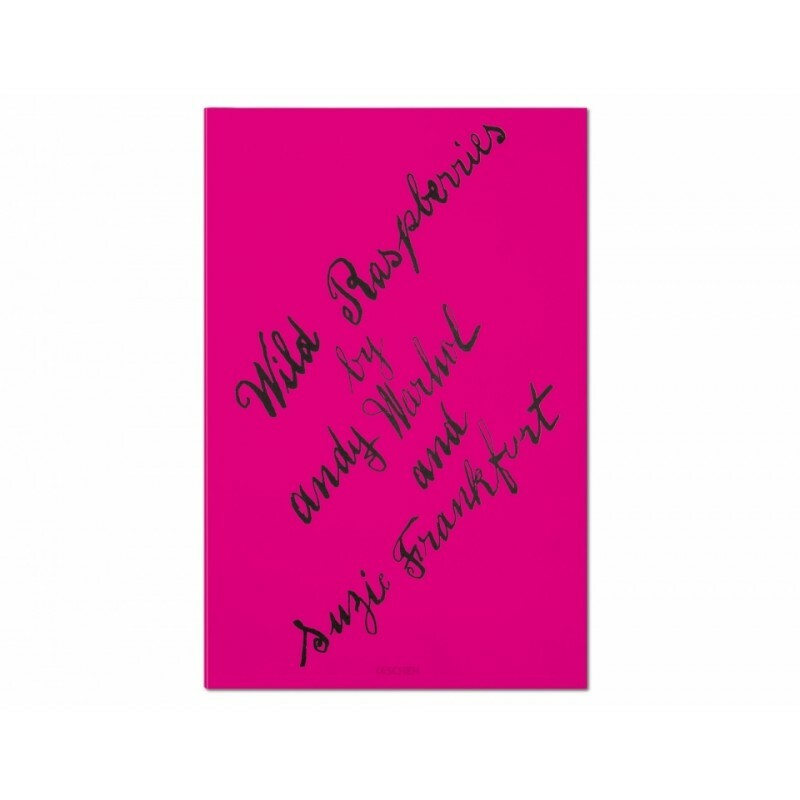 Wild Raspberries, meanwhile, is a spoof cookbook with a cornucopia of adventurous recipes on 19 portrait-format pages of instructions and illustrations. 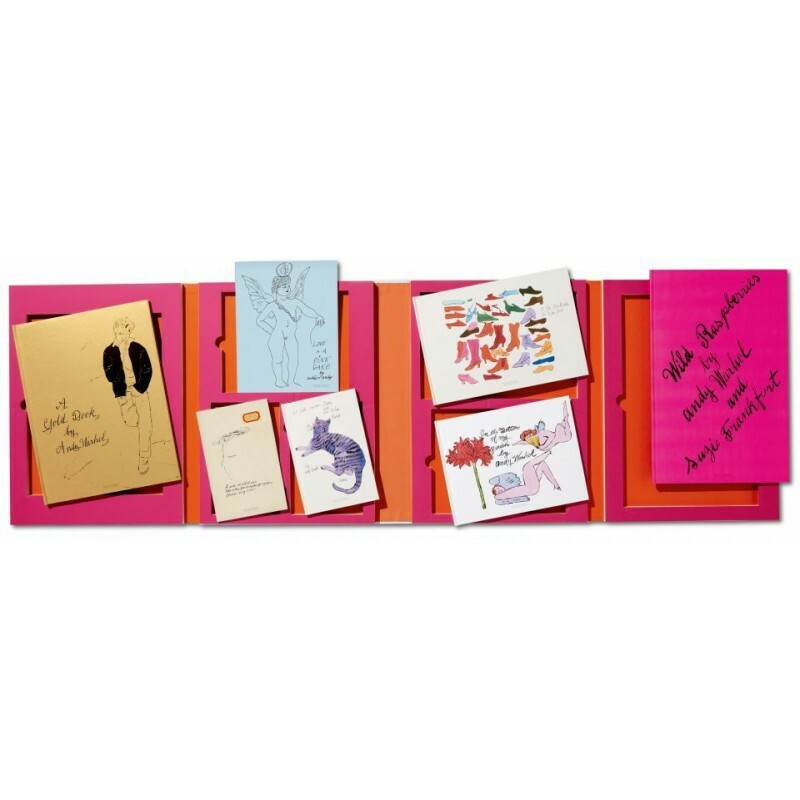 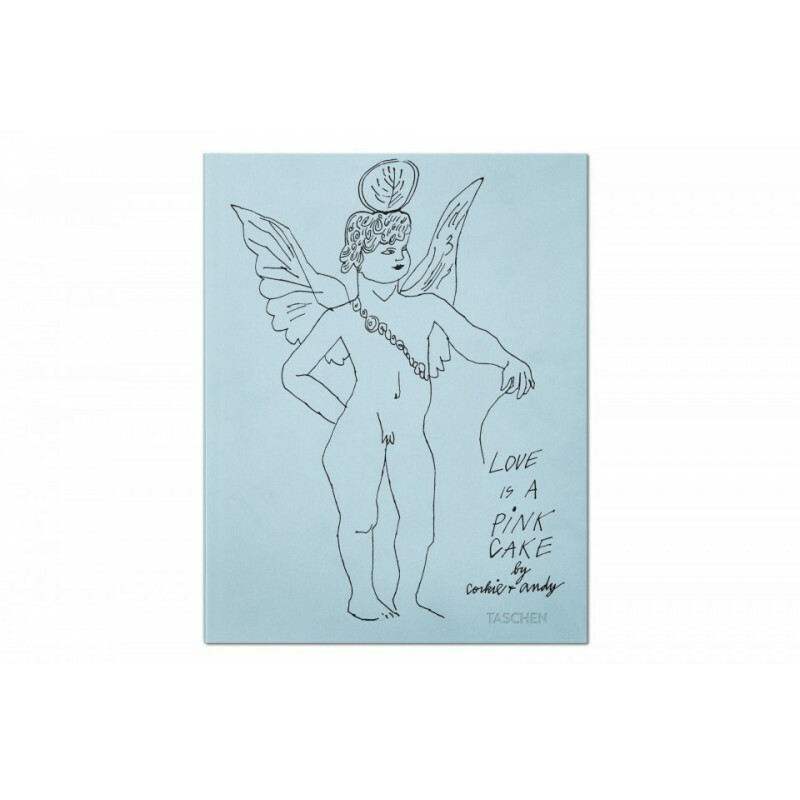 Little-known, much-coveted jewels in the Warhol crown, these hand-drawn delights are as appealing and original today as they were back in the halcyon days of the 1950s. 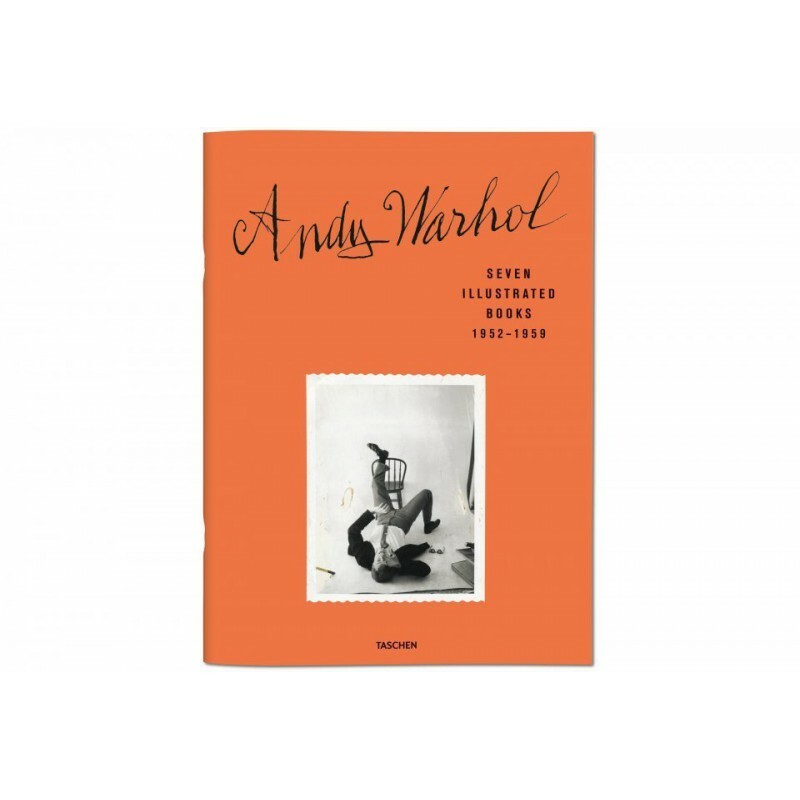 With an introductory essay by Warhol scholar Nina Schleif as well as contemporary illustrations and photographs of Warhol, this meticulous reprint offers a unique glimpse at a budding genius on the cusp of global fame. 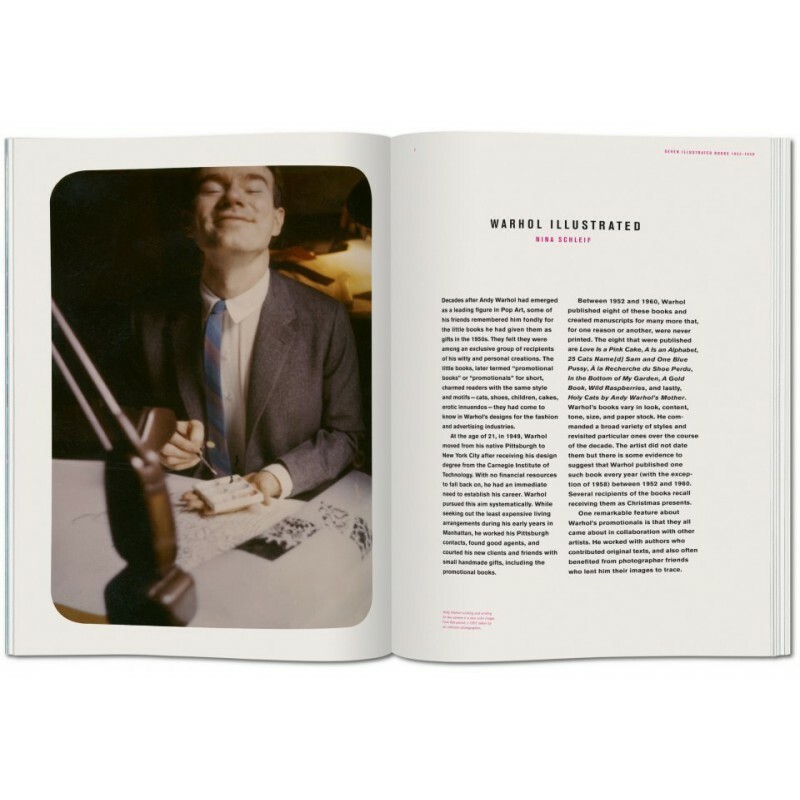 Reuel Golden graduated in politics from the University of Sussex, UK, and is the former editor of the British Journal of Photography. 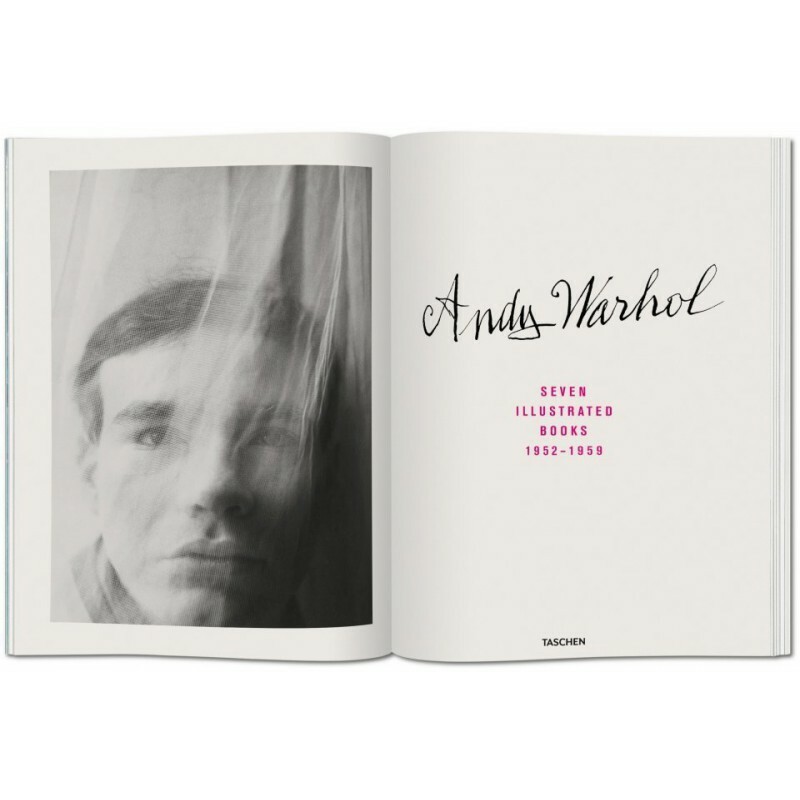 He has edited various titles for TASCHEN including The Rolling Stones, Her Majesty, Harry Benson: The Beatles, Rolling Stones, The beautiful game. 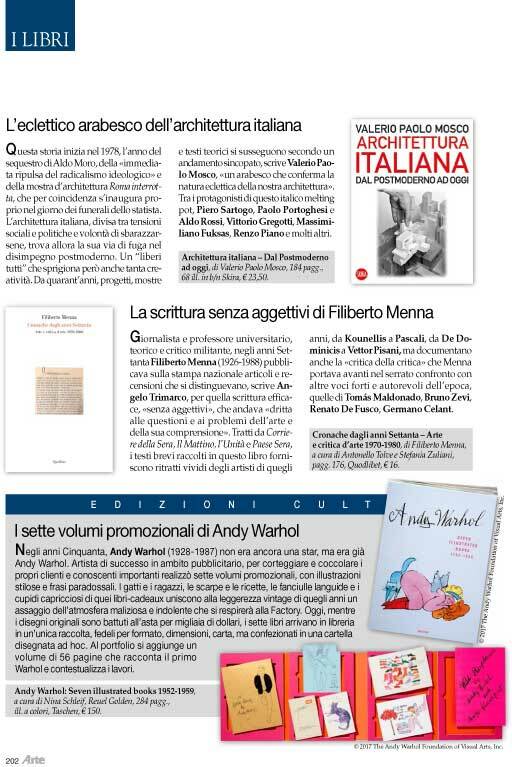 il calcio negli anni '70, and the New York and London editions of the Portrait of a City series.